The back side of the home was a scene of devastation. According to neighbors, home owner Opel Rusk recently remodeled her kitchen and had a new roof put on her home. 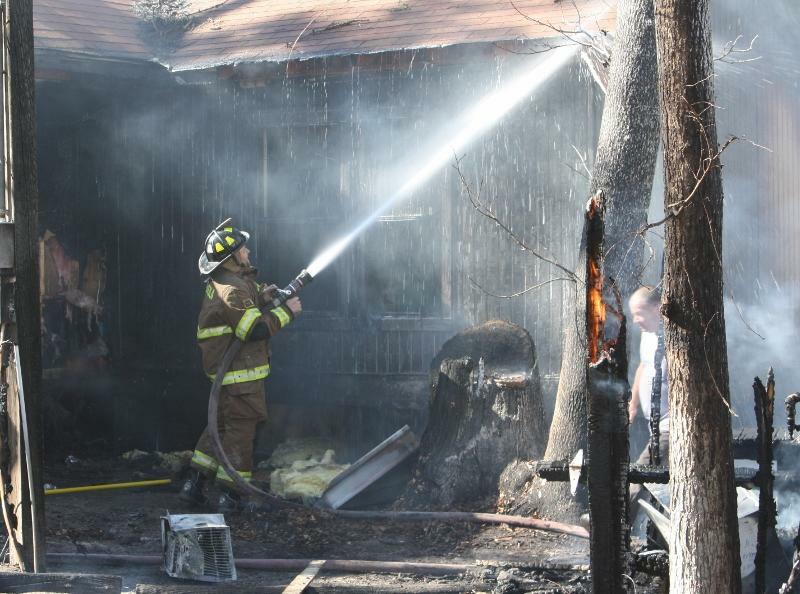 Cedar Point Home Heavily Damaged by Fire, ONALASKA, January 14, 2012 - Shortly before 1 pm on January 14, 2012, a fire was reported to the Onalaska Fire Department. 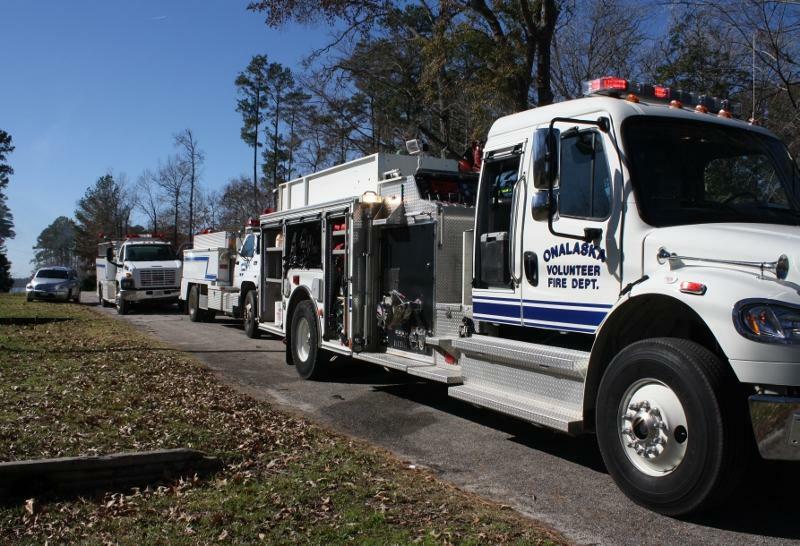 Firefighters from Onalaska Volunteer Fire Department responded with 3 fire engines and a crew of men at 112 Honeysuckle Road in Cedar Point subdivision to find the mobile home/house add-on partially engulfed in flames. 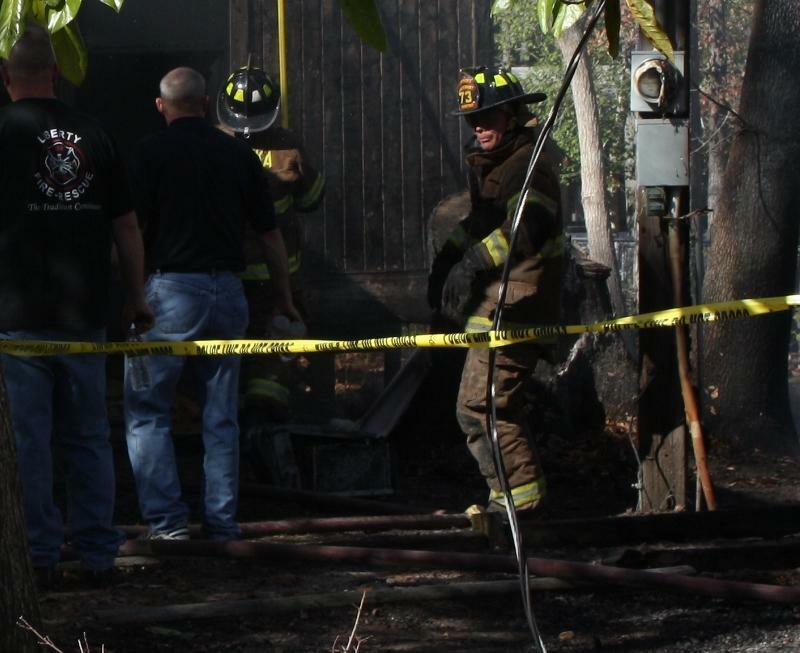 Firemen quickly doused the blaze that also totaled a storage shed in the back yard and, according to witnesses spread to dry leaves on the roof of a neighbor's house. Deputies Glen Edwards and Glen Bethune with the Polk County Sheriff's Office also were dispatched and conducted a preliminary investigation. The home was nearly totaled as fire was not only burning the general living area of the home, but also in the attic. 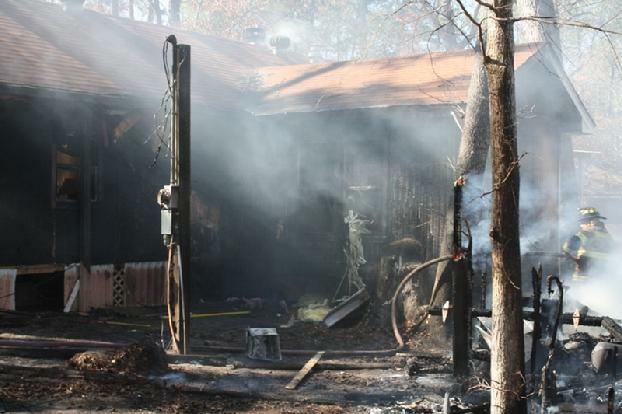 The fire, smoke, and water damage may render the home totaled. The home is owned by Opel Rusk who resided in the home. 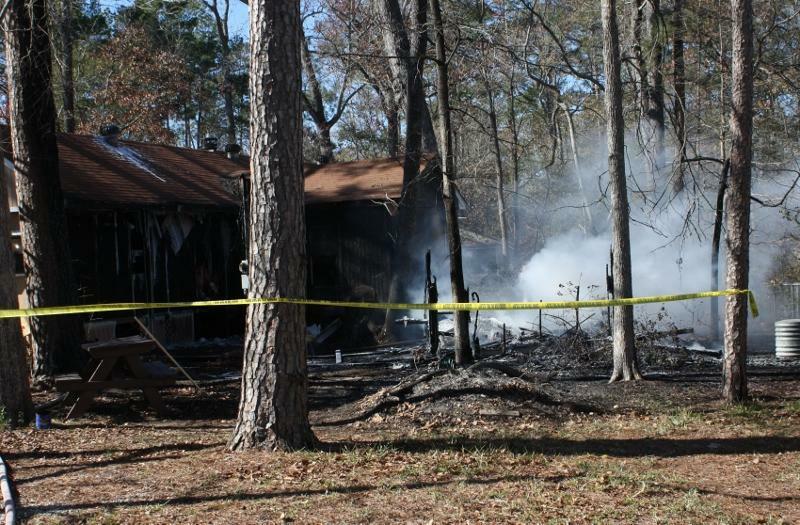 Rusk was not home when the fire broke out. She reportedly has home owner's insurance. The case has been turned over to Polk County Fire Marshall, Jay Barbee for full investigation. Onalaska Volunteer Fire Department responded with 3 fire engines and a crew of men. 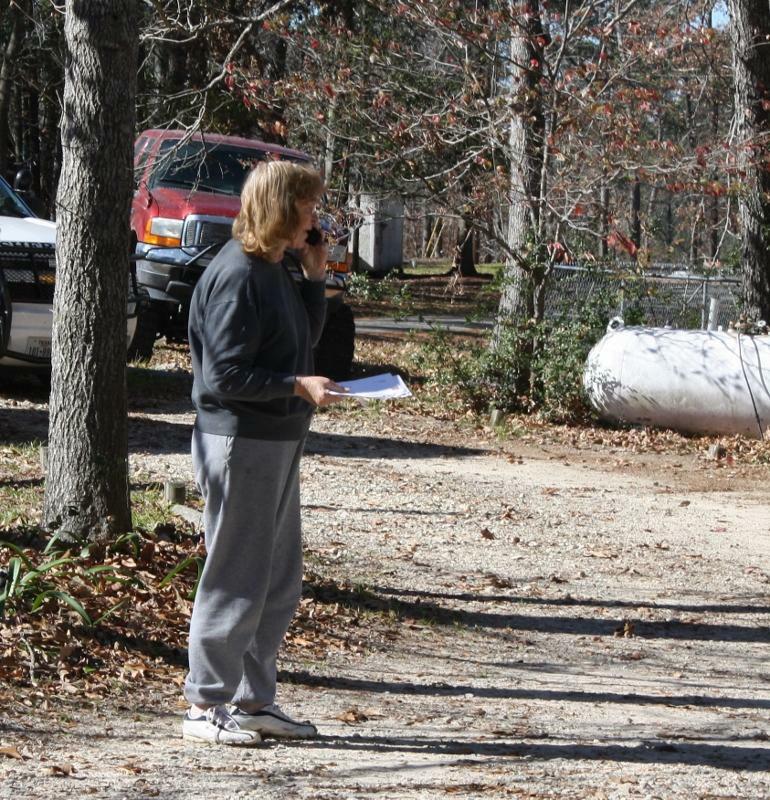 Home owner Opel Rusk watches her home from her own driveway. 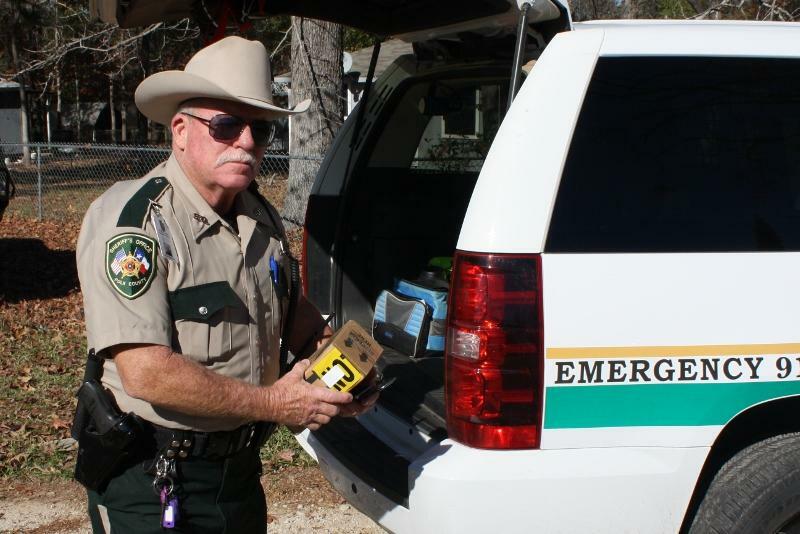 Deputy Glen Bethune assisted in a preliminary investigation. 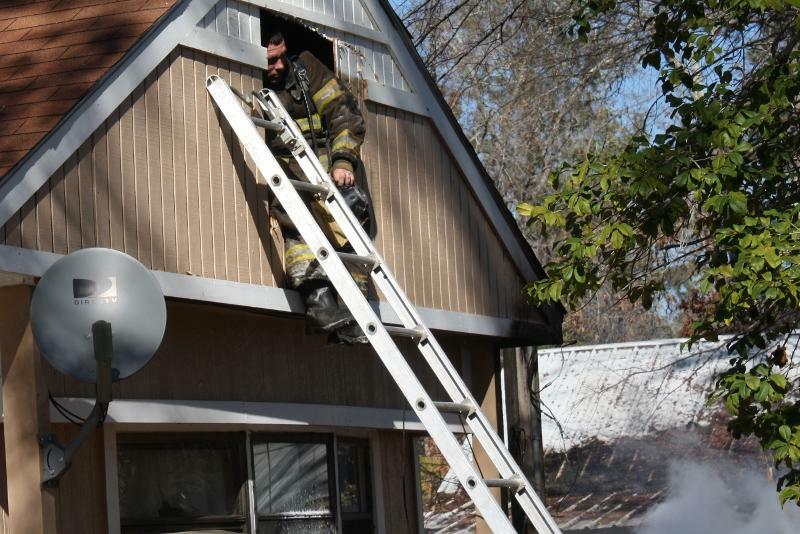 Dangerous job: This Onalaska fireman just returned from crawling into the attic of the burning home to extinguish stubborn flames that were in the attic itself. (Note: background shows neighbor's house with burnt leaves on roof where the fire spread).